Google Play originally started as the Android Market in late 2008 as a way for developers to distribute their Android apps and for device owners to purchase/download them. As Google rebranded it from the Android Market, they also expanded the content available so that it now includes media and books as well. There are roughly 2.7 million apps available on Google Play. Similar to Apple's iOS App Store, Google Play has the ability for downloaders of an app to leave a review and a star rating. Google only keeps a score for the all time average of reviews, unlike Apple that has a current version score as well. One advantage that Google has had for developers over Apple, is the ability to reply to all reviews that are posted. This feature was introduced in 2013 and provides a way for people who reach the landing page and see negative reviews to also see the developers response to those reviews. 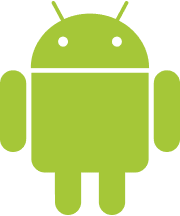 The ReviewBot integration for Android Apps on the Google Play has a reply link as well which takes you to the correct page in the Play Developer Console where you or your someone from your team can respond to the review.